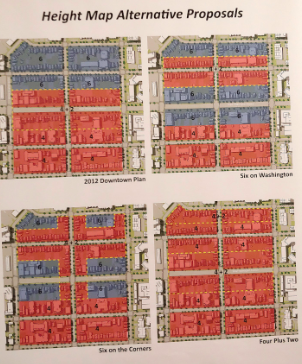 The City of Madison began laying the groundwork for updates to the historic Mifflin Street neighborhood with its 2012 Downtown Plan, but from then until 2018, not much happened. Plans were made and forgotten, sometimes conflicting with each other along the way. 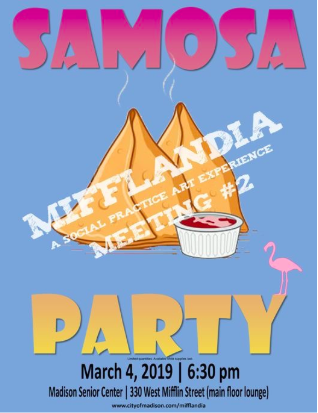 But in the fall of 2018, the city launched the Mifflandia project, a planning initiative aimed at creating a real, viable plan for the area by engaging neighborhood residents. Organizers hope aspects like free food and a relaxed atmosphere can attract residents who would otherwise have little interest in the planning process. 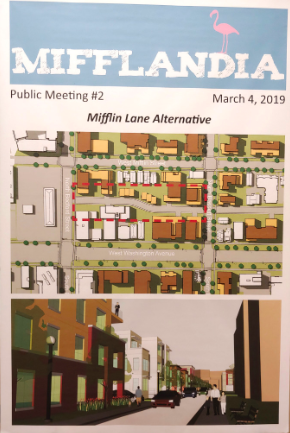 The first meeting last October, for example, offered donuts as attendees were polled on topics like housing styles, affordability, sustainability, and business types residents would like to see in the Mifflin neighborhood. The project’s second major public meeting, March 4 at the Madison Senior Center, saw residents enjoying samosas and tea while they talked with city representatives and neighbors. After a quick message from Alder Michael Verveer, project coordinator Rebecca Cnare kicked things off with results from the October meeting’s polls and additional online surveys conducted since then on the same topics. Mifflandia’s surveys found opinions and lifestyles had changed considerably since 2012, with people more open to taller buildings and less concerned about local retail options due to the growth of online shopping. Pedestrian and bicyclist safety continue to be major concerns, however, and changes to the Mifflin area also must fit into Madison’s 2018 Comprehensive Plan for development. In light of these new priorities, planners reassessed development possibilities. Planner Jeff Greger presented three new building height options in addition to the original 2012 arrangement. Notable among these was what Greger called a “four-plus-two” arrangement in which street-side facades would be limited to four stories, followed by a “set-back” that would allow building up to six stories farther back from the street. The style is designed to feel less blocky and monolithic and has been widely used across Madison and other cities in recent years. Greger said the small street would also reduce the number of driveways on West Mifflin, meaning more street parking. With a narrower street, building residents would instead access their parking from the lane. Finally, Greger outlined some possible locations for a public park in the Mifflin neighborhood, for which $8 million has already been secured according to Alder Verveer. Greger and Verveer both emphasized that the city is still reaching out to landowners to see who might be willing to sell, but the Mifflandia team has options in mind right now. These include converting the U-Haul lot at Bedford Street and West Washington into green space, and keeping the historic depot building as a park shelter. City planner Urvashi Martin closed the presentation by showing off some ideas addressing residents’ pedestrian and biker safety concerns. These included better-delineated bike lanes — some with flexible plastic buffers between bike and car lanes — flashing beacon crossings, and pedestrian refuge islands to help people cross high-traffic areas of West Washington. Refuge islands and new bike corrals could also enhance the area’s aesthetic through landscaping and public art installations. In a Q&A session, attendees raised a wide range of concerns. Would adding bike lanes increase traffic jams, or might they reduce traffic by encouraging more people to bike? How do families fit into the new plan? Will developers have to adhere to sustainability standards? How will all of this impact taxes and property values? Without the attendance of younger residents, planners will likely have to account for student concerns like housing affordability without their direct input. The Mifflandia team will have to answer all these questions and others as they build their proposal over the coming months. More information on the project and past meeting materials can be found here. I am a student at UW-Madison, and the houses on Mifflin St provide affordable residences for students like me, as well as a place to gather for the Mifflin block party every year. How can you guarantee that upzoning these properties will maintain the affordability of this neighborhood?? I would like to see a majority of these new units be rented out to students, as this is primarily a student-centered neighborhood and should stay that way.